On Christmas Eve, heavy snowfall brings a train to a halt near the village of Hemmersby. Several passengers take shelter in a deserted country house, where the fire has been lit and the table laid for tea--but no one is at home. Trapped together for Christmas, the passengers are seeking to unravel the secrets of the empty house when a murderer strikes in their midst. This classic Christmas mystery is now republished for the first time since the 1930s, with an introduction by the award-winning crime writer Martin Edwards. J. Jefferson Farjeon (1883-1955) was the author of more than sixty crime and thriller novels. 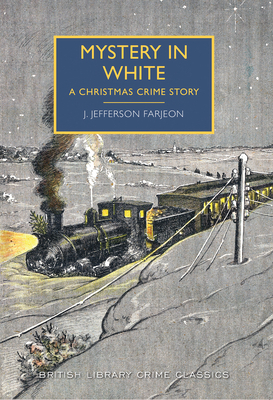 His work was highly acclaimed in his day; Dorothy L. Sayers wrote that 'Jefferson Farjeon is quite unsurpassed for creepy skill in mysterious adventures'. Farjeon is now best known as the author of Number Seventeen, a play that was adapted for the big screen by Alfred Hitchcock.